The fastest and easiest glaze and sealer available. Removes tar and undercoating. 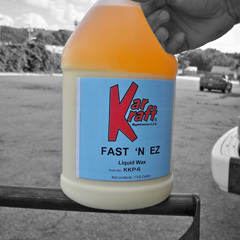 Formulated especially for new cars. Fast ‘N Easy will also produce dramatic results as a final wax used on cars. Hand use only. Silicone fortified.